They’re everywhere you look on the highway, you can’t miss ’em, right? People know what semis look like, but you might not believe what they’re capable of, where they came from, or what they can do. If you’re a truck driver, you obviously know how to operate a truck, and you can probably do it pretty well. But, do you know everything about the 18-wheeler you’re driving? Check out these interesting facts about semis that might shock you. 1. It all started in 1898. The first semi truck was invented in 1898 and was manufactured the following year. In Cleveland, Ohio, Alexander Winton was a “horseless carriage” manufacturer (to us, that’s making cars) and when his business sold their first carriages, they wanted a more efficient delivery method to get them to their customers. So all the auto-haulers out there, your semi-trucks are the originals. The maximum weight an 18-wheeler can hold is 80,000 pounds. To put this crazy fact about semis into perspective for you, that’s about 23 small-sized cars, or roughly 450 people. 3. Watch them on the big screen. There was a period of time in America where semi-trucks were popular in movies. In the 1970s particularly, Smokey and the Bandit, Duel, White Line Fever and Convoy were all released. Convoy was arguably the most popular and it was based on a song that has made it onto Rolling Stone’s Top 100 Country Songs of All Time. 4. They can have up to 18 gears. Just like the number of wheels, semitrucks can have up to 18 gears! This is an especially shocking fact about semis for non-truck drivers who rarely even operate a manual car with just four gears. Not only do truck drivers have 80,000 pounds to maneuver, they potentially have 18 gears to get through. The tank of a semi-truck itself can hold between 100 to 400 gallons of fuel. An even more interesting fact about semis is that the fuel tankers that actually take the gas to a gas station are holding about 9,000 gallons! 6. …because semi-trucks are thirsty. Most get about 5 to 6.5 gallons of fuel per mile. No, they’re not the most fuel efficient vehicles, but refer to #4 to see what they have to do. You’d be thirsty too. 7. If it’s so massive, why is it a “semi”? The actual part of the semi-truck that is thought of as the “semi” isn’t a truck at all, it’s basically just a huge box full of stuff if you think about it. So, that part, plus the part the driver sits in and steers the vehicle with (the “truck”) equals a semi-truck. This isn’t the craziest fact about semis on our list, but if anyone asks you why, at least you’ll know the answer! If you were wondering who would be the most popular if it was… As of 2017, the most popular Class 8 truck manufacturer in the United States is Freightliner, with over 37% of the market share. Coming in second is Peterbilt with 15.9%, followed by Kenworth (12.5%), International (10.9%), Volvo (10.5%), with a few others sharing the rest. For a vehicle this large, diesel is actually more efficient to ensure that the engine has enough energy to function properly. Engines that run on diesel have a longer life expectancy than engines that run on gasoline, and with the sheer size, amount of miles put into operating, and price of an engine in a semi, those things should be kept in good shape for as long as possible. This one doesn’t change, a definite fact about semis is that they’re pretty pricey vehicles. A brand new semi can range anywhere in price from $120 to $200,000 per truck. You can get a used one for a lot cheaper, but check out our guide to purchasing a used truck before you do. 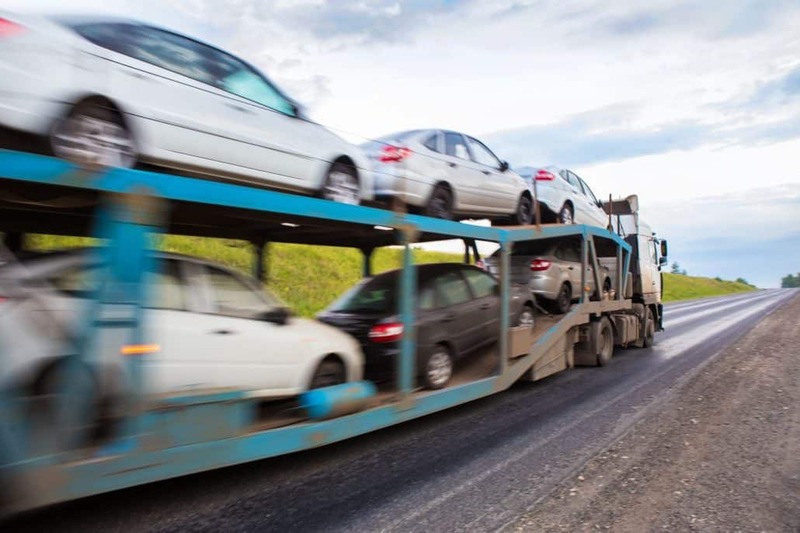 If you’re in the trucking business and could use some cash for a new truck or simply want more flexibility with you cash flow, you should be factoring your freight bills. With no minimums, high advances, flat fees and fast funding, how could it get any easier? Contact us to get started with a free quote.